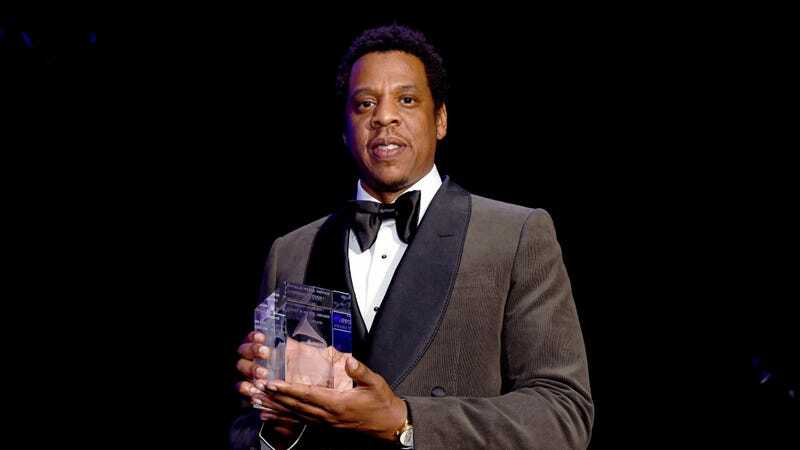 Jay-Z on Trayvon Martin: "His Name Serves as a Beacon of Light and Hope"
On Saturday, Jay-Z gave a moving speech at the Trayvon Martin Foundation’s sixth annual Peace Walk and Talk in Miami, Florida. Martin, a 17-year-old black teen, was shot and killed by George Zimmerman, a neighborhood watch volunteer, in February 2012. His death sparked massive protests across the United States over racial discrimination and gun violence that, in many ways, signaled the Black Lives Matter movement. You can watch that below. The Trayvon Martin Foundation was established in 2012 by Sybrina Fulton and Tracy Martin, Martin’s parents, with the goal of reducing gun violence and encouraging minorities and women towards S.T.E.M. (science, technology, engineering, and mathematics) education. Jay-Z has always been interested in Trayvon—last year the rapper announced he was going to make a movie and docu-series about Martin’s life with the Weinstein company, but there have been no updates on the status of the project since extensive allegations of sexual assault against company head Harry Weinstein have come to light. Jay-Z’s appearance at the walk is one of many recent, politically active public endeavors he’s made. Last year, he wrote a New York Times op-ed about the fractured criminal justice system, calling for the release of Meek Mill. In 2017, Jay-Z produced a documentary about Kalief Browder, a young black man, who committed suicide while incarcerated—Browder was serving three years in jail over accusations of stealing backpack. It’s comforting to see Jay-Z work towards making business decisions and public appearances that put the lives and memories of people like Martin, who were wronged by the American criminal justice system, first. Let’s hope he continues to do so.